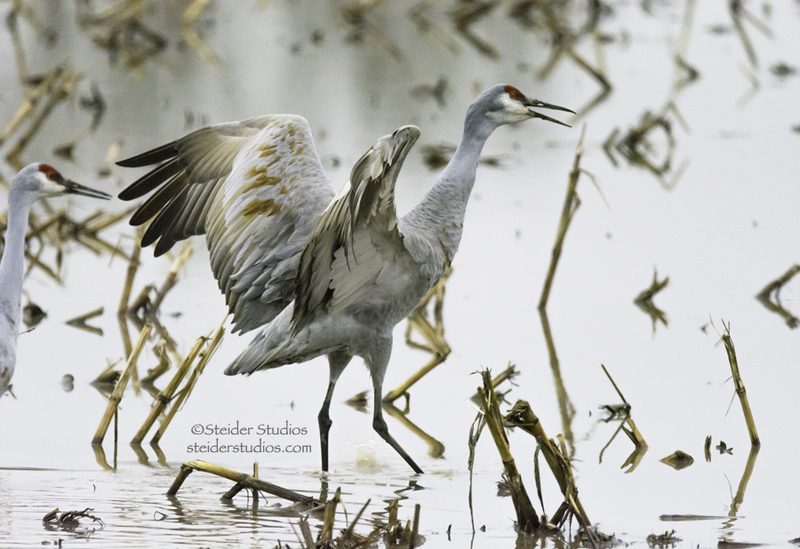 I signed on for a route in Audubon’s Winter Raptor Survey. My route is basically along Hwy 14 between Bingen and Dallesport along the Columbia River. The first run yielded my first ever sighting of a Prairie Falcon!! I expected to find Red-tailed Hawks, and did find six of them. Non resident Eagles are returning to the Gorge ~ I found these four in one snag and six more along the river. I also counted three American Kestrels, but not close enough for a good shot. 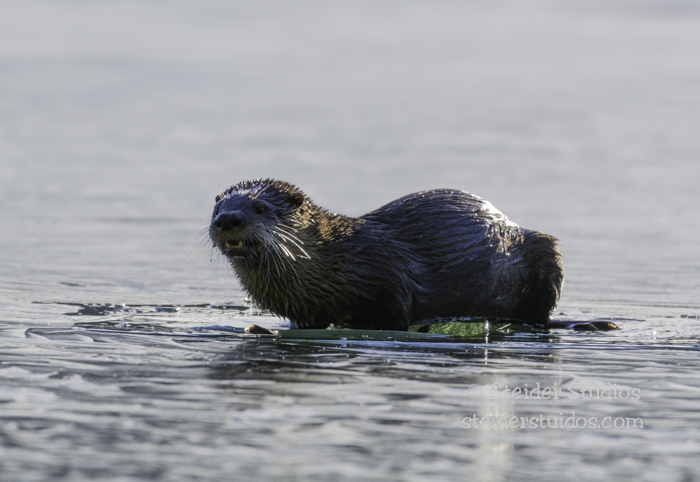 This shot is from Sauvie Island in January. The following day broke with a beautiful clear blue sky so I followed my route hoping to recreate my photos with better light and composition. Alas I saw no eagles, but the Klickitat River was gorgeous. I also found a huge flock of Lesser Goldfinches in their ‘pantry’, a field of weeds. I love these little birds and couldn’t believe how close they allowed me to get. 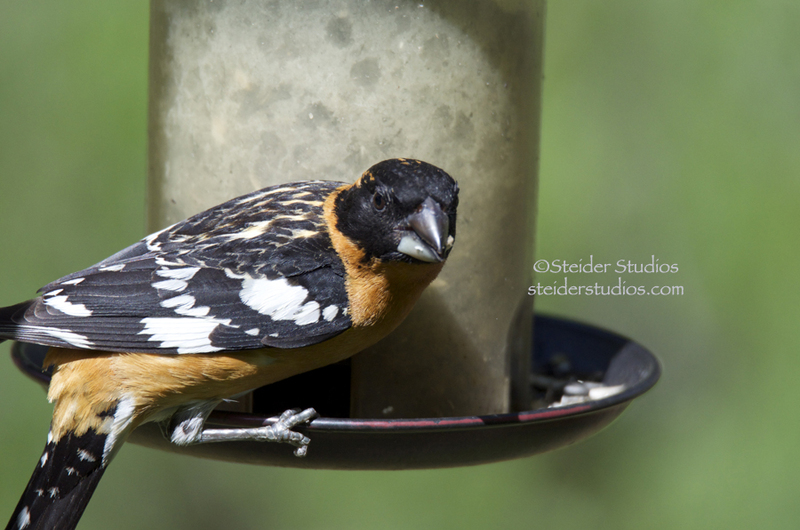 This is a male Lesser Goldfinch. The day before my route I’d gone looking for eagles with my friend Carolyn. Although we didn’t see eagles that day, we found tons of Lewis’s Woodpeckers, one of my favorites!! We watched a heron fishing on ‘golden pond’ from afar. A Cormorant flew by pretty close! And we saw a lot of Ruby-crowned Kinglets! See his Ruby Crown?!! He’s a bit blurred, too fast for me to keep up with his movement, but I wanted to show you his front too! In spite of only finding Bald eagles on my official ‘Raptor Count Day’, we saw many beautiful birds including a Kingfisher, Wood Ducks, Robins, and Meadowlarks. It’s always a good day driving through the Gorge. I’ve had a fantastic week of birding! 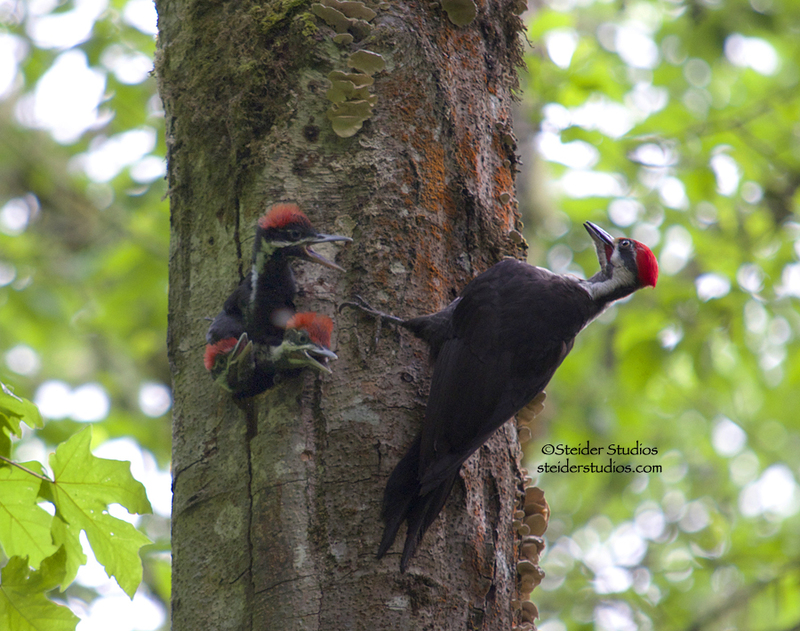 After a very successful weekend at the Wine and Pear Festival, I took off Monday for the Tualatin Hills Nature Park because a friend shared his photos of a Pileated Woodpecker family! Thank you again Bob!! 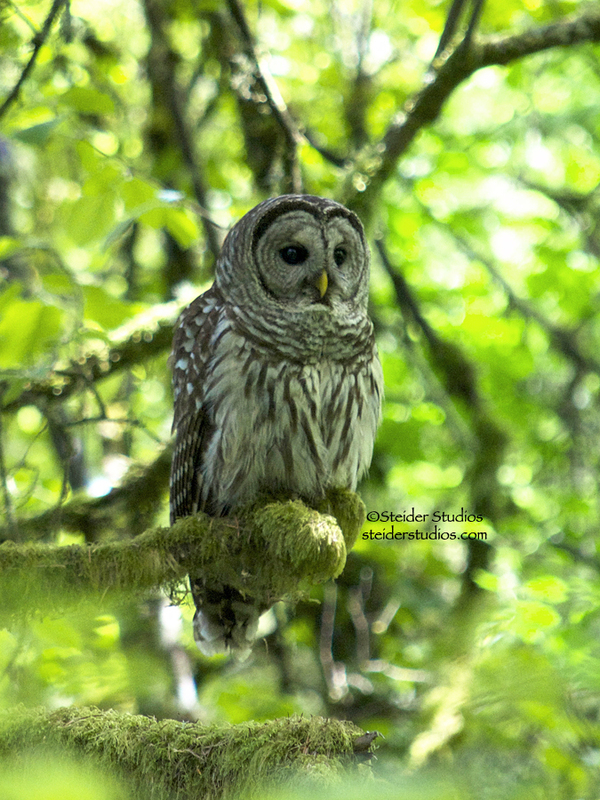 A HUGE bonus was my very first sighting of a Barred Owl! It looked like a big fluffy teddy bear and I was mesmerized. My friend Nancy and I couldn’t believe our good luck (that we now refer to as good birding karma) with how long he let us watch him. I went back later in the week hoping to find him again but did not. 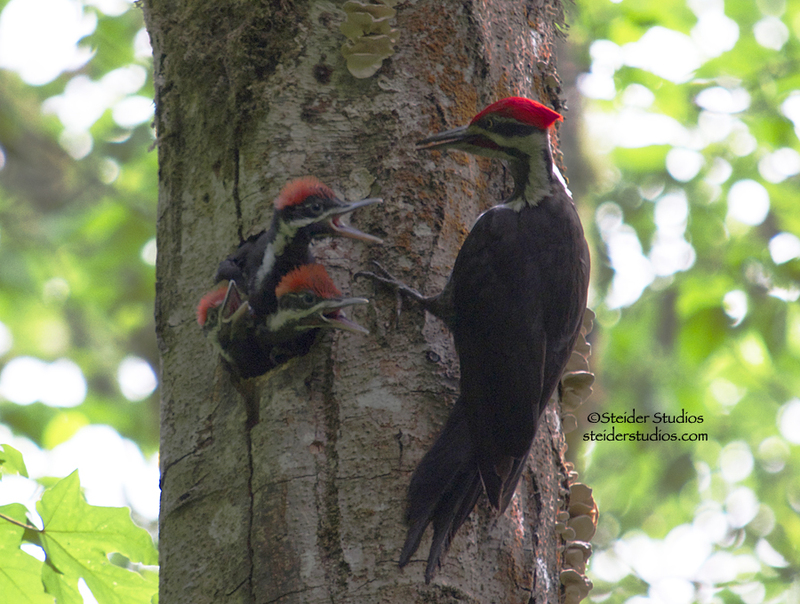 Our main event, the Pileated Woodpecker pair and their three babies gave us a wonderful viewing and photograph opportunity. 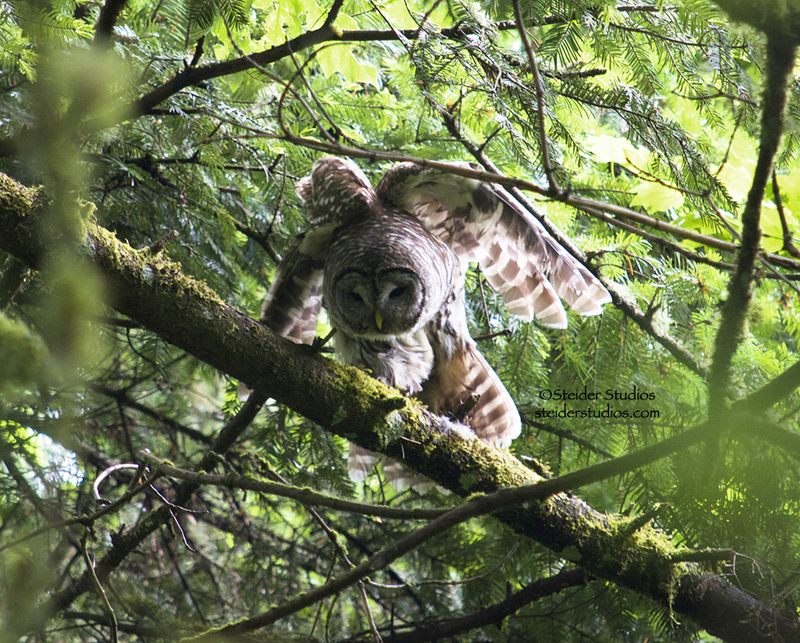 We met a few other photographers who had also heard about this nest high in a snag towards the center of the park. We watched for several hours, waiting about 45 minutes between feedings. I had major lens envy knowing that my new Tamron 150 – 600 mm lens was in transit and I’d have it soon. But I needed it today! 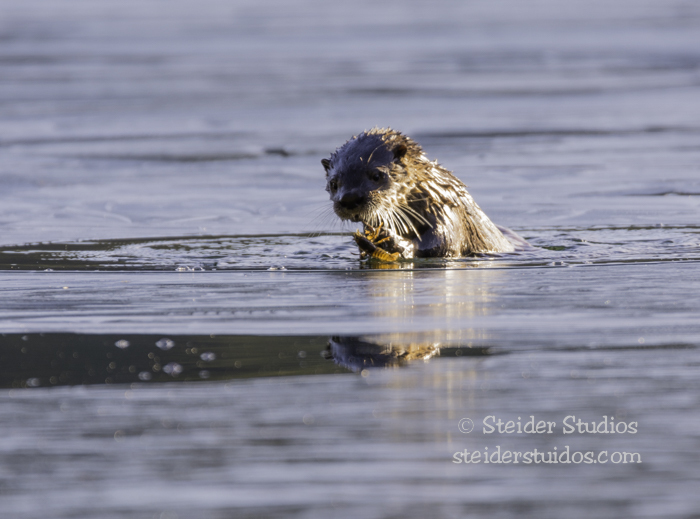 Tuesday I went to Rowland Lake – I ran out the door, camera in hand before my husband finished telling me about the heron family, bald eagle, pair of osprey and more birds that he saw that morning while fishing . I arrived just in time to see a Bald Eagle being chased by a Raven. 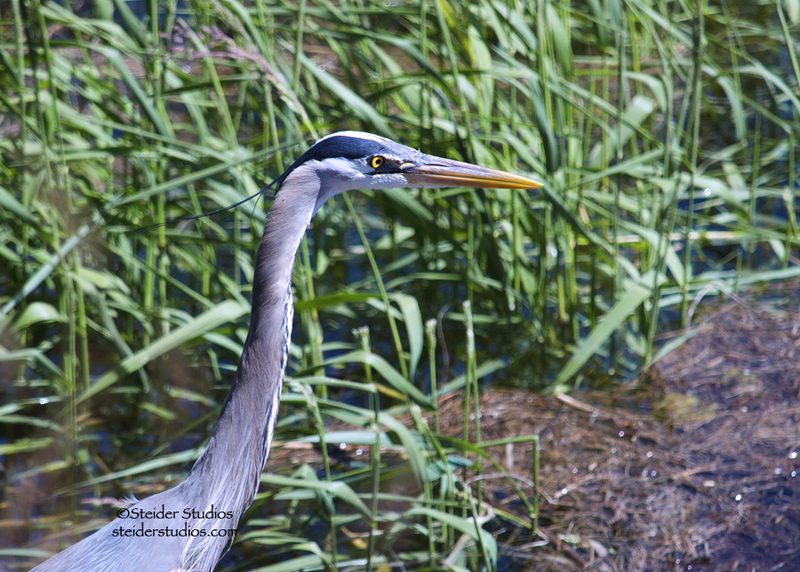 I watched two Great Blue Herons fishing at Rowland Lake but did not see the babies. 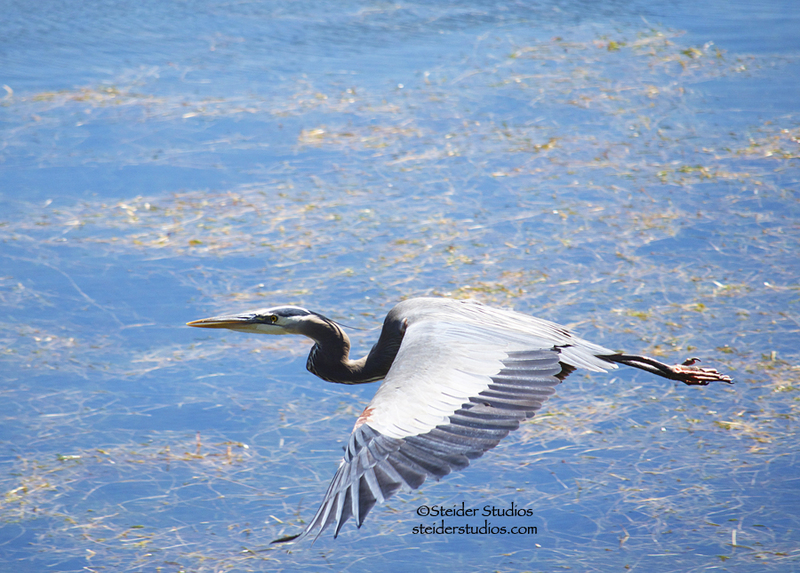 I love the challenge of capturing any bird in flight and am very happy with this Great Blue Heron. 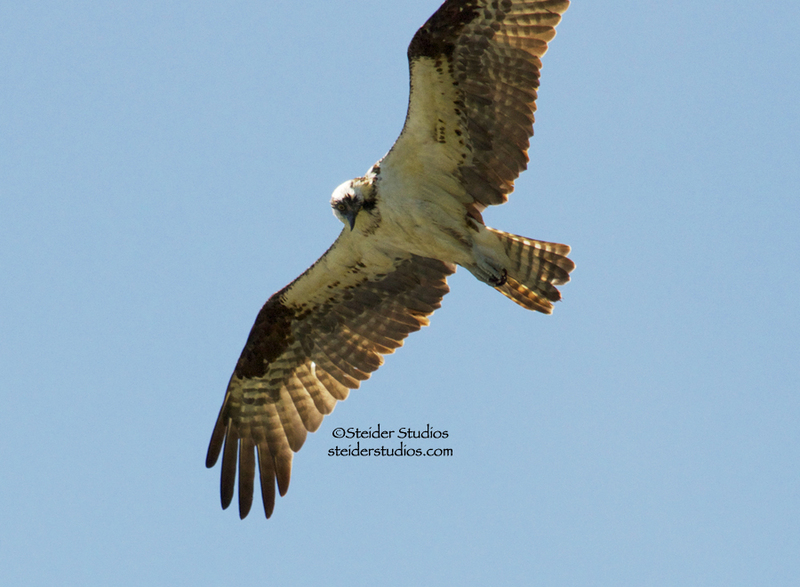 I watched an Osprey grab a fish that seemed to big for him to carry right in front of me. Shooting from behind a stand of trees, that photo was too blurry to keep. 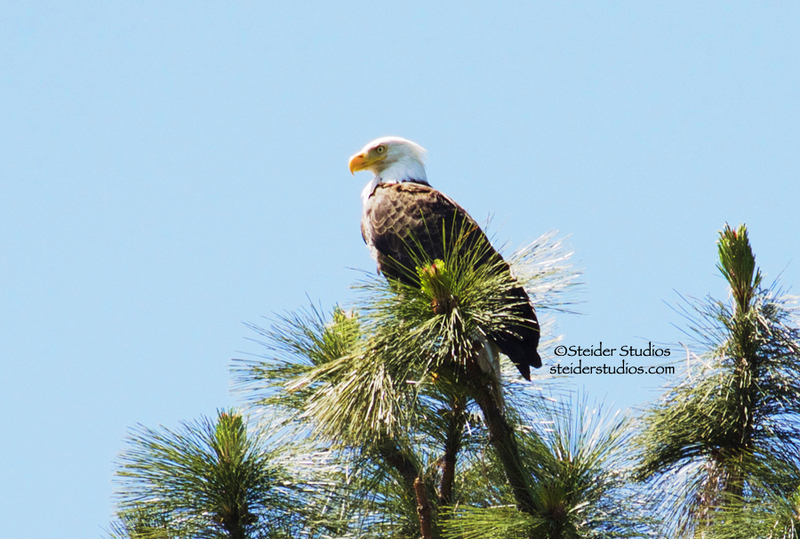 The Bald eagle ditched the Raven and perched atop a pine tree for about an hour. Using my car as a blind I slowly rose up through my moon roof to capture him. I was still thinking about that new lens I did not have yet, and how much closer I could get if I had it. Wednesday I went back to Tualatin knowing the baby woodpeckers would be leaving their nest any day. I was hoping to see them fledge. I was hoping to see the owl again. 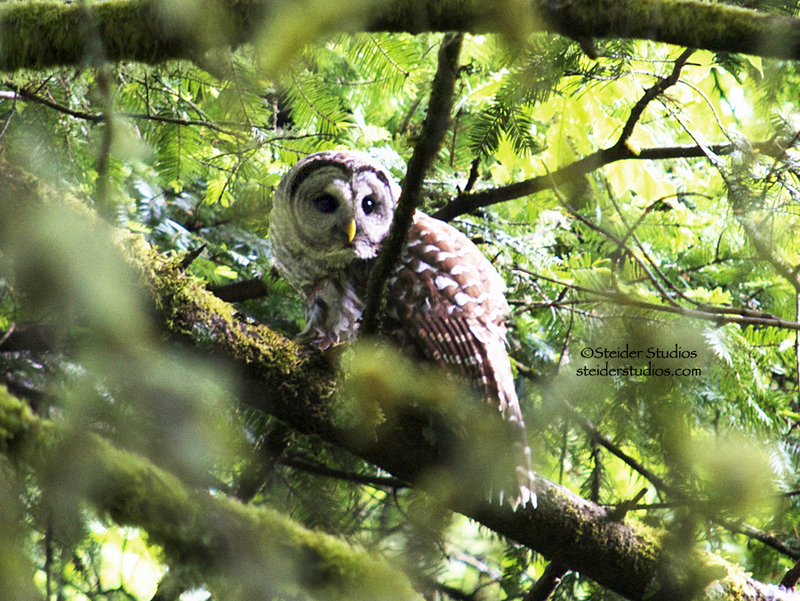 Neither happened, but I met more photographers and had a thrilling time watching the feathered family. Thursday I helped a friend in her garden and when I arrived home, guess what?!! My NEW LENS ARRIVED!!! I tore open the box, attached the lens and went out to my garden. This is my first shot, hand-held (wow is that thing heavy!) with no editing other than sizing. 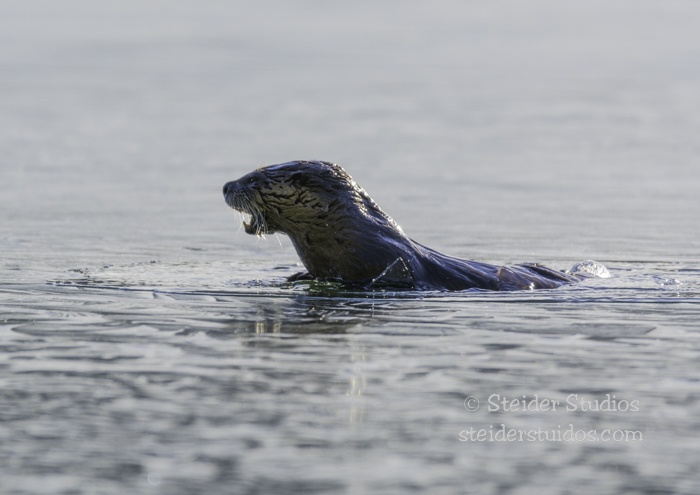 Not a great photo, but I’m thrilled with the clarity and how much closer I can now photograph birds and wildlife! I ran in, checked the images then ran back out. 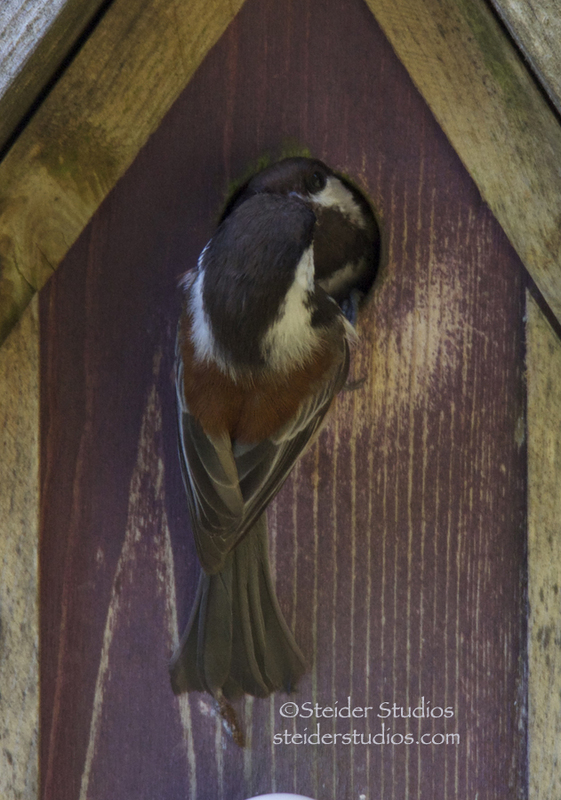 I’ve got a pair of Chickadees in the garden – building a nest or feeding babies? 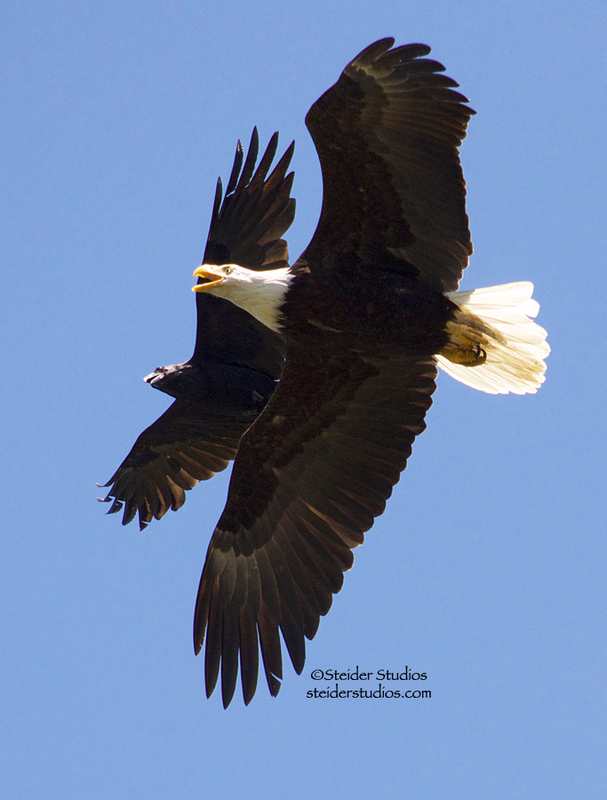 The pair took turns flying into the nest, and I caught this image of the male arriving before the female departed. I didn’t hear babies chirping so I’m wondering if they’ve hatched at all yet. I cropped and down-sized this image but didn’t take time for any other edits. If it were a ‘keeper’, I’d probably lighten it a bit. I did use my tripod for a series of the chickadees flying in and out. 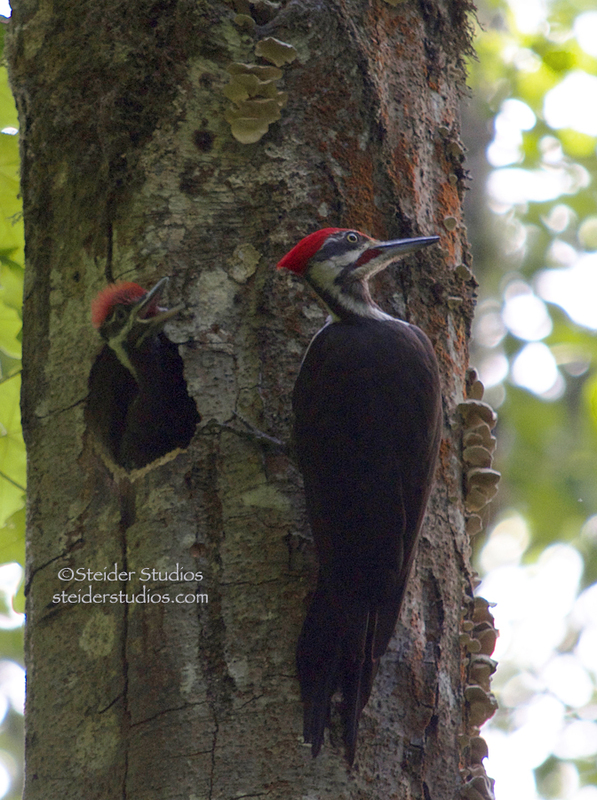 Tomorrow I’m heading east for a lead on another Pileated Woodpecker nest with babies. 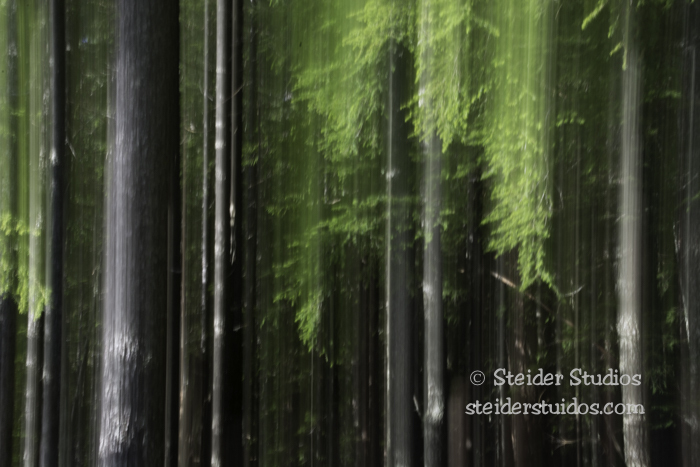 Today I MUST catch up with studio business, household stuff and practice more with my new lens. Or maybe just practice – can’t the other stuff wait a little longer?!!! 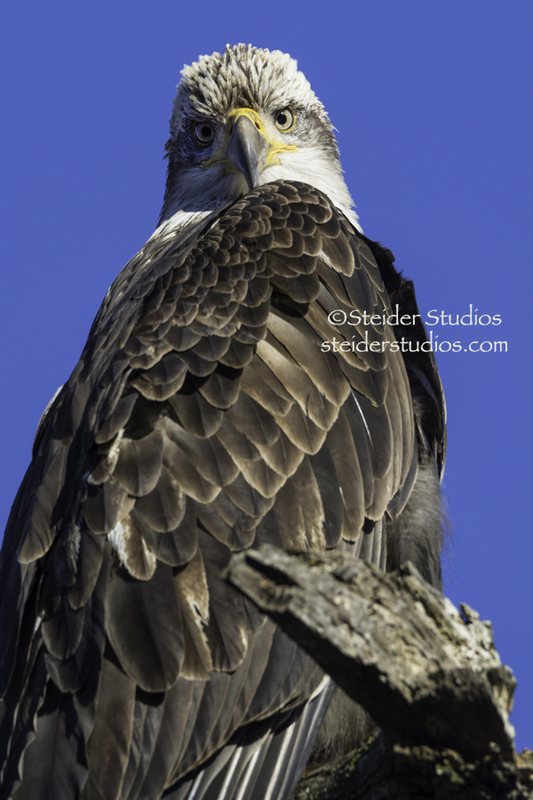 If you’d like to see more of my bird photography I post frequently on my Steider Studios Facebook page. 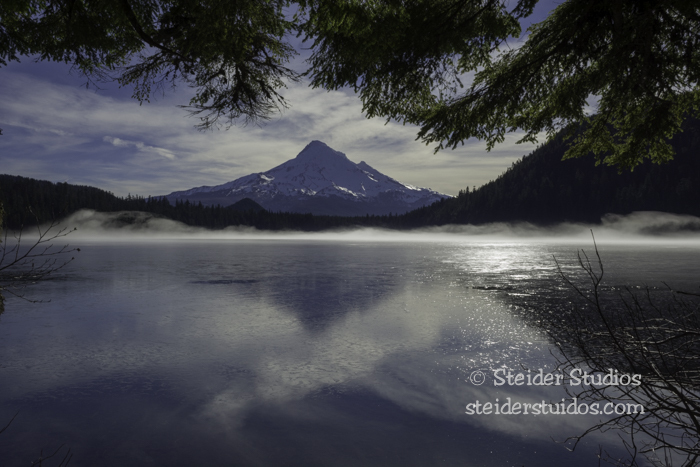 Many of my images are published into greeting cards, canvas wraps and metal prints available in my Artfire shop and my Zibbet shop. You can also subscribe to my blog to get an email update each time I post by clicking the box in the column at the right, towards the top of this page. I can’t wait to show you all the new photos I’m about to take with my new Tamron 150 – 600 zoom lens!! !